"He took her at a young age and used religion to the point where she fell in love with him"
An Ohio priest faces charges on eight counts of sexual battery after admitting "relationship" with 17-year-old altar girl. WCMH's Ted Hart reports. Authorities are investigating whether a Roman Catholic diocese in Ohio responded appropriately last November when it learned that a priest for two of its parishes had taken a now-pregnant altar girl to a wedding reception last November, Athens County Prosecutor Keller Blackburn told The Associated Press. Blackburn's office on Tuesday charged the Rev. Henry Christopher Foxhoven with eight counts of sexual battery for his relationship with the girl, who is 17. He is being held on a $1 million bond and doesn't have an attorney. Revelations about Foxhoven's behavior have shaken Catholics in the two small former mining towns where Foxhoven ministered, Blackburn said. The story began to unravel Oct. 26 when the 45-year-old priest and the teen told her parents she was two months pregnant. A spokesman for the Diocese of Steubenville said Foxhoven called Bishop Jeffrey Montforton the next day to tell him about the relationship. Spokesman Dino Orsatti said a diocesan attorney immediately called the Athens County Sheriff's Office to report what Montforton had learned. Foxhoven was ordered to move out of his parish residence at Holy Cross Catholic Church in Glouster and to stay out of that village and Buchtel, where he was pastor at St. Mary of the Hills. The Athens County Sheriff's Office searched the residence Monday and found used condoms and a positive pregnancy test kit. Blackburn said his office received a call after the news broke from an out-of-town guest at last year's wedding reception who said she saw Foxhoven inappropriately touching the girl. The diocese sent a letter to Blackburn's office this week saying when it learned last November about the reception, it suspended the priest for a week and ordered him to receive counseling for "boundary issues." The diocese did not contact authorities when it learned about the outing. Orsatti said in an email that Foxhoven denied acting inappropriately and said the teen needed a ride to the reception. "The parents never filed a complaint and there were no complaints filed against Foxhoven," Orsatti said. Under Ohio law, institutions such as churches, schools have a duty to report allegations of physical or sexual abuse of a minor. "On Saturday, the church did everything right," Blackburn told the AP. "I hope they did the right thing last year." Foxhoven became the pastor of Holy Cross around four years ago. Blackburn said the teen served as an altar girl and was "heavily involved" in the small parish. Blackburn's office is investigating when sexual contact between the teen and Foxhoven began. 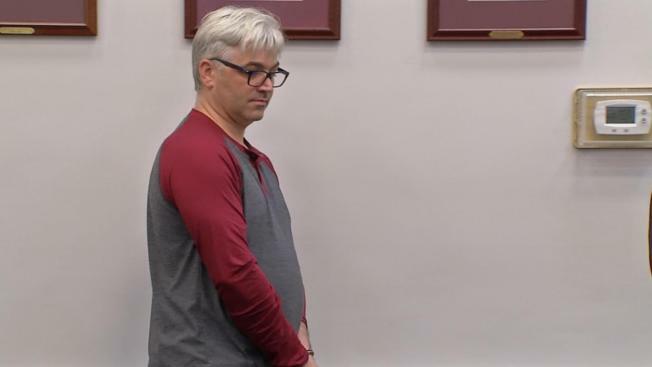 Blackburn said that if contact occurred before she turned 16, Ohio's age of consent, Foxhoven could face additional charges such as unlawful conduct with a minor or gross sexual imposition. Blackburn said Foxhoven "groomed" the girl. "He took her at a young age and used religion to the point where she fell in love with him," he said. Montforton on Friday released a statement to the AP that said: "This is a devastating and heart-wrenching time for the diocese. The victim and the victim's family deserve our thoughts and prayers. The diocese is grieving over the admitted actions of Father Foxhoven." Montforton asked that anyone with information that could assist the investigation contact authorities. Blackburn said no one else has stepped forward to accuse Foxhoven of wrongdoing. The diocese on Wednesday released the names of 16 priests and one seminarian it said had been credibly accused or had admitted to sexually abusing minors dating back to 1944 when the diocese was formed. Foxhoven was on the list.